On March 14, 2019, the European Parliament, the Council and the European Commission reached a political agreement on the rules that lay down how the EU will operate as a member of the Geneva Act. The Geneva Act is a multilateral treaty for the protection of geographical indications managed by the World Intellectual Property Organization. Protected designation of origin (PDO) is a label for products having the strongest links to the place in which they are made. Protected geographical indication (PGI) emphasises the relationship between the specific geographic region and the name of the product, where a particular quality, reputation or other characteristic is essentially attributable to its geographical origin. Geographical indication of spirit drinks and aromatised wines (GI) protects the name of a spirit drink or aromatised wine originating in a country, region or locality where the product’s particular quality, reputation or other characteristic is essentially attributable to its geographical origin. While PDOs already benefitted from a multilateral protection framework at international level, only bilateral agreements were until now existing for geographical indications. Since 1958, the Lisbon Agreement was protecting appellations of origin at international level under the administration of the World Intellectual Property Organisation (WIPO). Out of the total 29 contracting parties of the Lisbon Agreement, seven were EU Member States: Bulgaria, Czech Republic, Slovakia, France, Hungary, Italy and Portugal. Other States, such as Greece, Romania and Spain, signed the Agreement but never ratified it. The Lisbon agreement ensured that in contracting countries, appellations of origin received the same protection as in their country of origin. It also established an International Register of Appellations of Origin, run by the WIPO. The protection of appellations of origin at the international level is crucial for the EU. According to WIPO’s statistics, in 2016, 1060 products were registered in the International Register of Appellations of Origin, out of which 509 are from France, 142 from Italy, 76 from Czech Republic or 28 from Hungary. Such a protection is also important for mountain products as the optional quality term is not exclusive. They can thus benefit from both the EU optional quality term “mountain product” and from the Protected Designation of Origin label. Other mountain products also benefit from a geographical indication and thus need to be protected internationally. These quality schemes preserve the traditional production sites of mountain products and are essential to the protection of mountain’s culinary heritage. Moreover, their protection can help in building more resilient food systems and in mitigating climate change. The Geneva Act, a wider scope for a better protection? The Geneva Act of the Lisbon Agreement on Appellations of Origin and Geographical Indications was adopted In 2015. Major revisions consist in a broader scope, as the new Act includes all geographical indications and will no longer be limited to appellations of origin. Countries where a distinction between those two do not exist will not be obliged to create a differentiation in their national or regional legislation. Moreover, it introduces the possibility for international organisations, such as the European Union, to be contracting parties while the Lisbon Agreement provides membership only to States. Through its Chapter III, the Geneva Act will protect appellations of origin and geographical indications from any use of their name for a product which did not get the labelling approval and does not meet the requirement specifications and from any other commercial practice aiming at misleading consumers as to the true origin, provenance or nature of the goods. It will also protect them from any commercial imitation, even if accompanied by terms such as “style”, “kind”, “type”, “make”, “imitation”, “method”, “as produced in”, “like”, “similar”. Moreover, under the Lisbon Agreement, information on the link between the characteristics of a product and its geographical origin was optional. 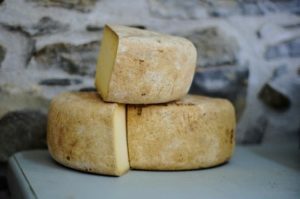 From now on, under the Geneva Act, an appellation of origin or a geographical indication will not be protected in a Contracting Party if this requirement is mandatory there and the application does not comply with it. This measure could thus reinforce the protection of geographical indications and mountain products benefiting from it. Following the ruling of the European Court of Justice of 25 October 2017 in Case C-389/15 – Commission v Council, it is clear that the European Union will have exclusive competency on the decision to join the Geneva Act, since it has direct effects on trade and because the Lisbon Agreement’s revision intended to facilitate trade talks between the EU and third States. The draft regulation agreed will now go for formal endorsement by the European Parliament and the Council. Once the endorsement is official, the EU will be ready to formally join the Geneva Act through a separate decision. The Geneva Act will enter into force as soon as five States or international organisations will have ratified it.